The Nicks Ash Kicker is a lot more boot than you can expect for the money. Stocked in toe No. 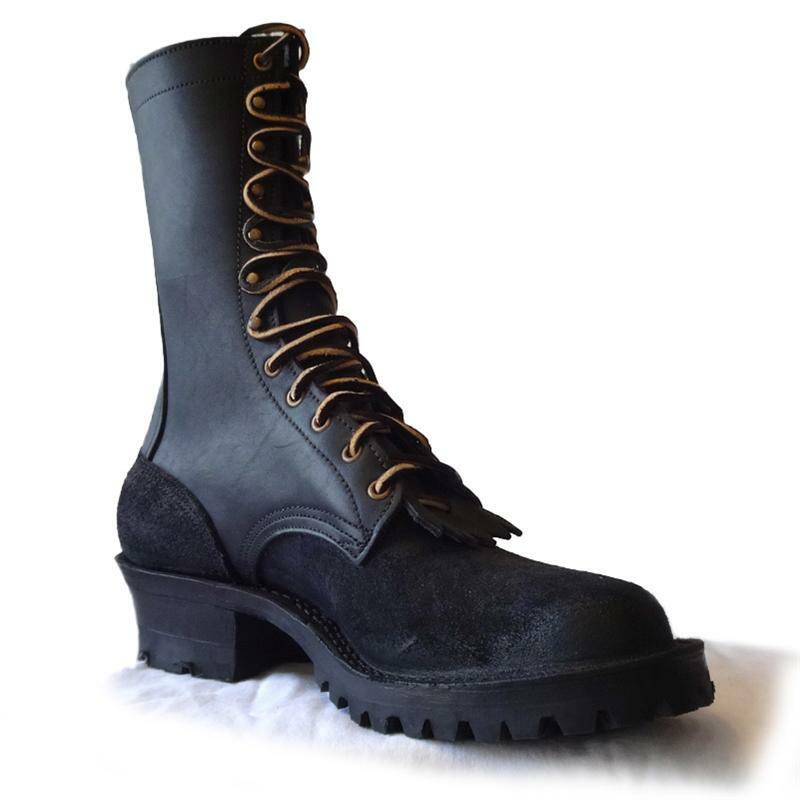 3 with a 10 inch top in black Hot Shot� style (rough out toe and heel smooth upper) Completely hand made with heavy 7 1/2 oz. to 8 oz. oil tanned upper and vamp with Vibram lug soles. Whether on the fire line, in the shop or at work, you can not beat this value. Also available to be built in the NFPA version. (For NFPA please add $10.00) Please Note: This boot is resoleable but is NOT rebuildable.